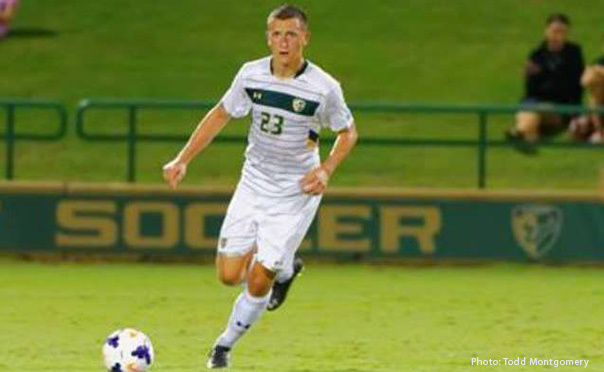 Canadian U-20 international Nikola Paunic recently signed on with the University of South Florida in NCAA play. Paunic, born October 13, 1993, plays the position of centreback and was previously with TFC Academy (where he played for a little over a year) and the University of Toronto Varsity Blues. Paunic is of Serbian descent and was born in Podgorica, Montenegro (then a part of the FR Yugoslavia). He grew up in Sokolac, Republika Srpska, Bosnia and Herzegovina and moved to Canada in 2001 at the age of 8. Paunic was recently at the Dallas Cup with TFC Academy and was set to play at the U20 Francophone Games but was forced to decline due to his university duties. He began playing organized soccer in Canada in the Serbian White Eagles FC Academy. His uncles Miso, Boro and Miroslav and his grandfather Milos all played professionally.